Christmas is magical, regardless of what age you are and it takes us back to our childhood. For our children this holiday is about stockings hung by the fireplace, colorful presents under the tree, candy canes, cookies and hot chocolate. 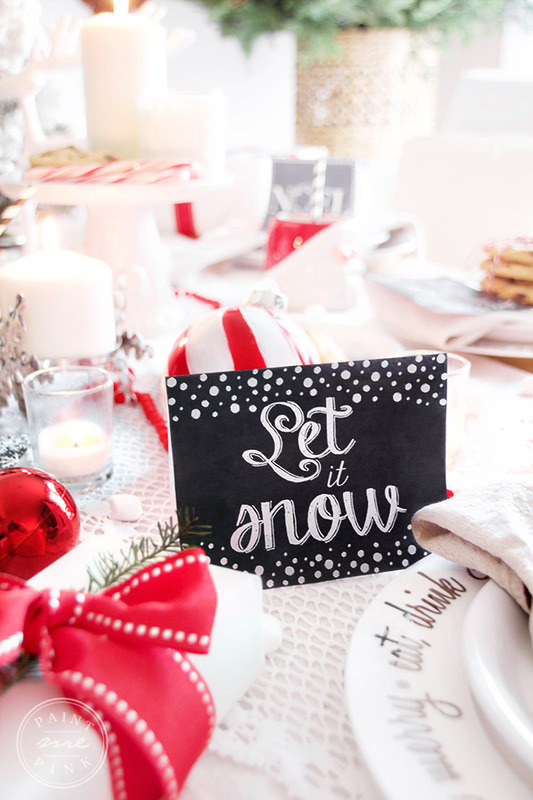 Today, I wanted to bring you some holiday cheer as I join my sweet friend Michelle from Dandelion Patina and 9 other friends to share some pretty amazing & FREE Christmas printables! 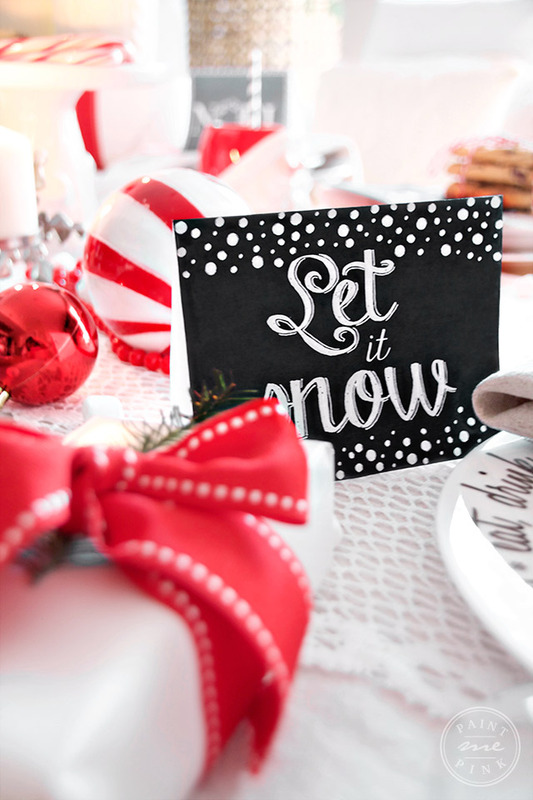 Everyone appreciates a simple card or a message during the holidays. 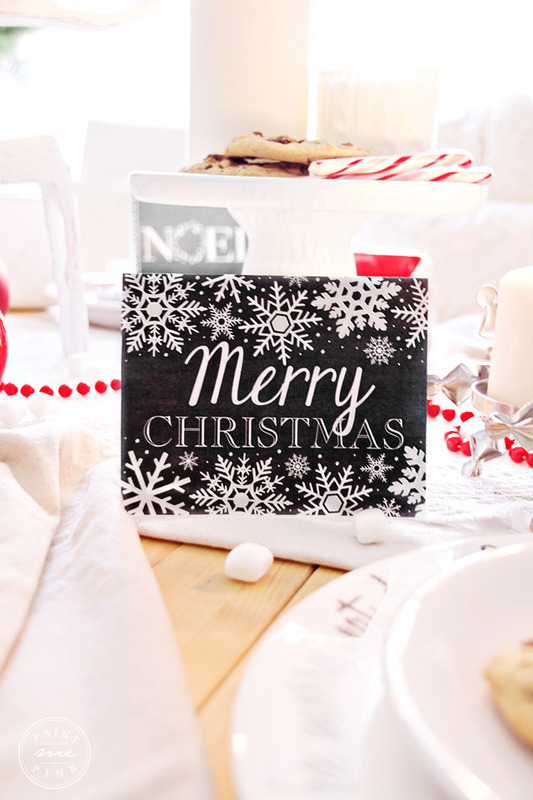 Did you know that sending out a card, text message or even emails wishing your family a Merry Christmas will make them feel special? This year I created some Christmas greeting cards for you, so you can make someone smile by sending them a little note this holiday season. I decided to use the greeting cards on our table to bring a little Christmas cheer to my children. 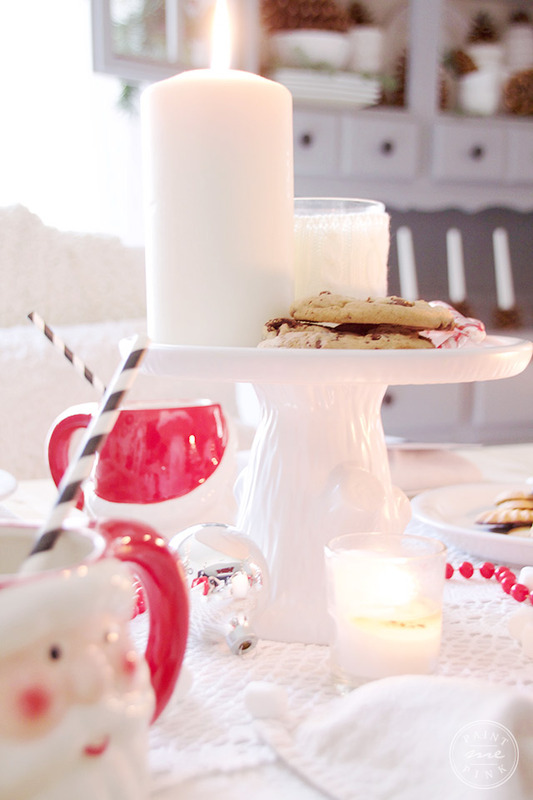 I also created a fun and simple table setting for them using cookies, candycanes, and hot chocolate using santa mugs. 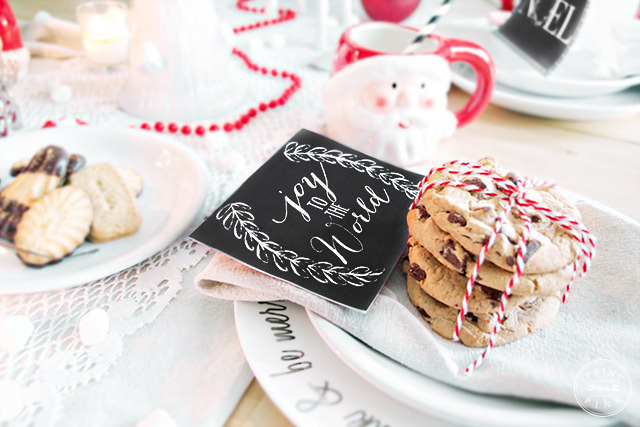 You really don’t need much to create something very merry and jolly that everyone will love. 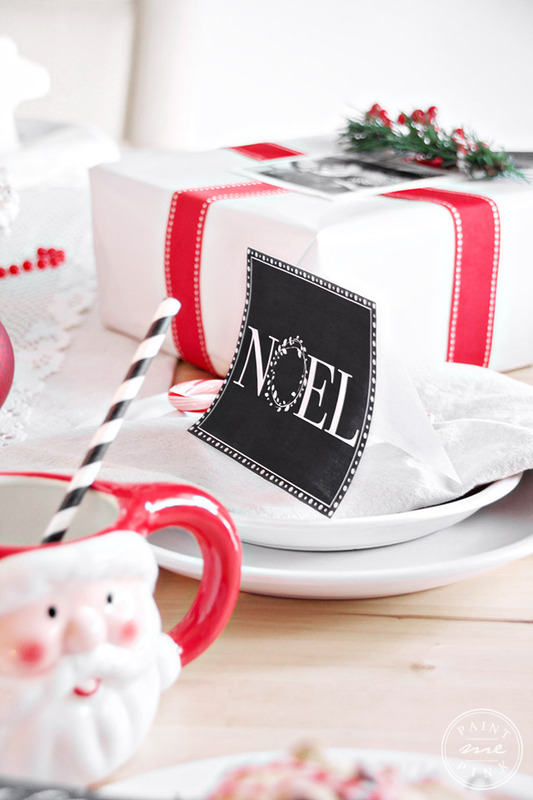 And I wanted to share how simple it is to create a Christmas tablesetting using things that you already have in your home. 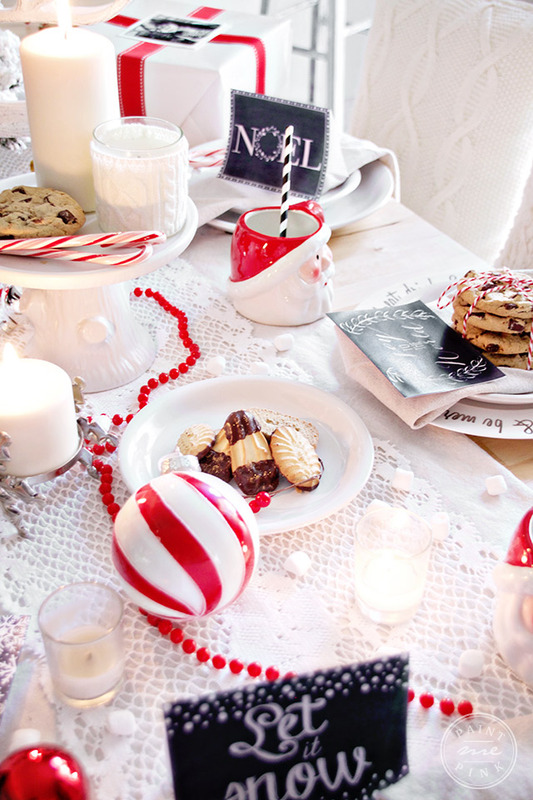 All you need are some Christmas tree ornaments, tealight candles, candycanes, and cookies! 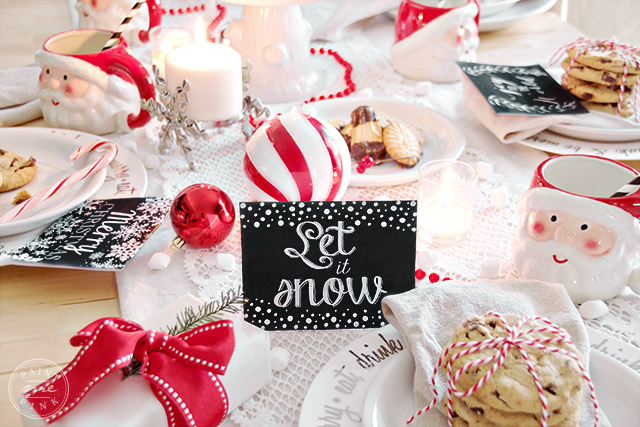 With just a few small things, you can truly create a fun tablesetting. I always add something special or a personalized item to our tablesettings, it truly makes the table more welcoming and inviting. 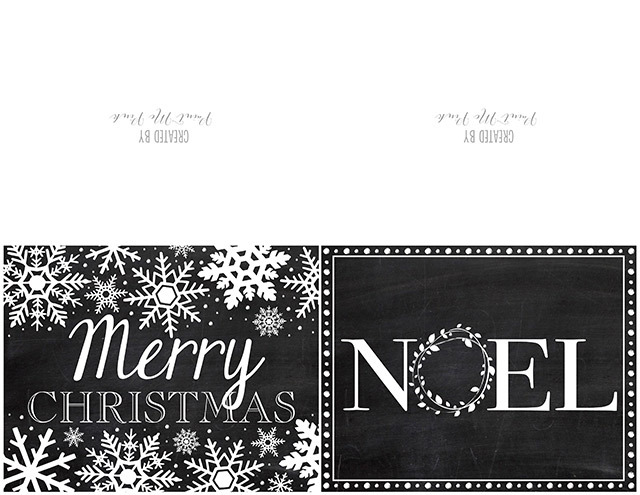 And these Christmas greeting cards added that special something to the table. 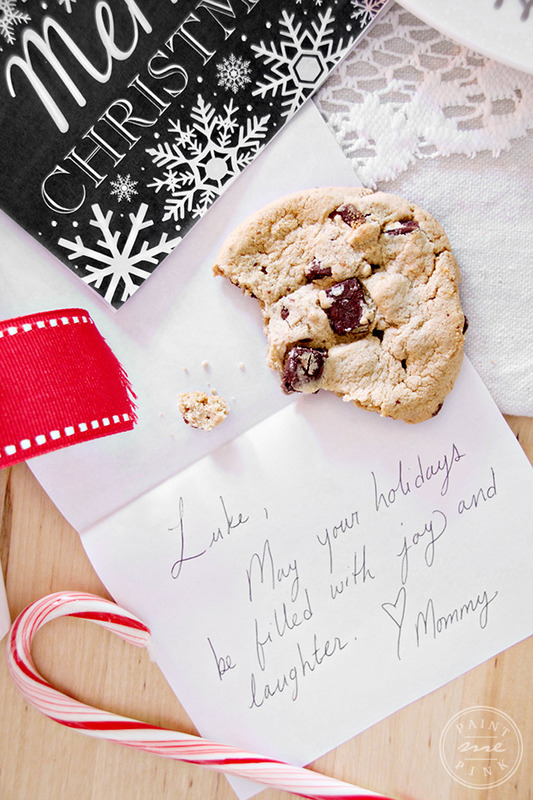 On each greeting card I wrote sweet little notes to my little ones so they could enjoy reading them while eating their chocolate chip cookies and drinking hot cocoa. 1. Download and print printables using the card stock paper or regular computer paper. 2. 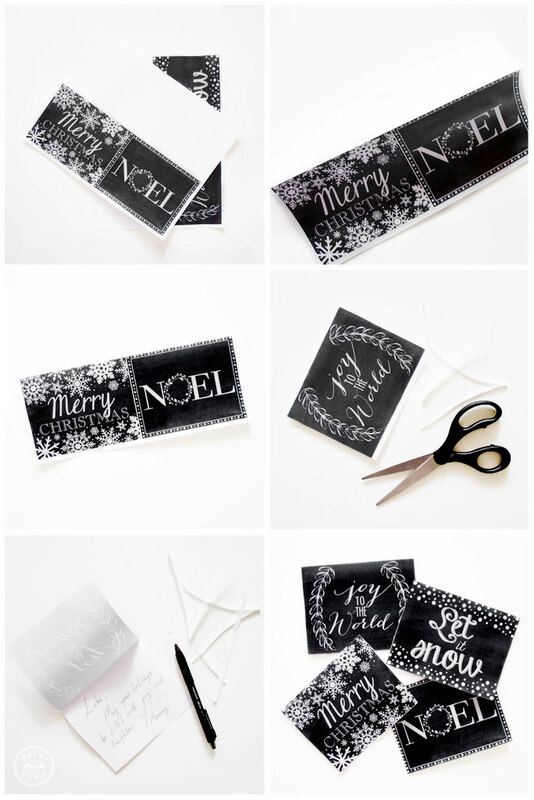 Once printed out, fold the greeting card in half horizontally (using the black boarder as your guideline). Once folded cut around black the greeting card black boarder. 3. Write a special note inside! 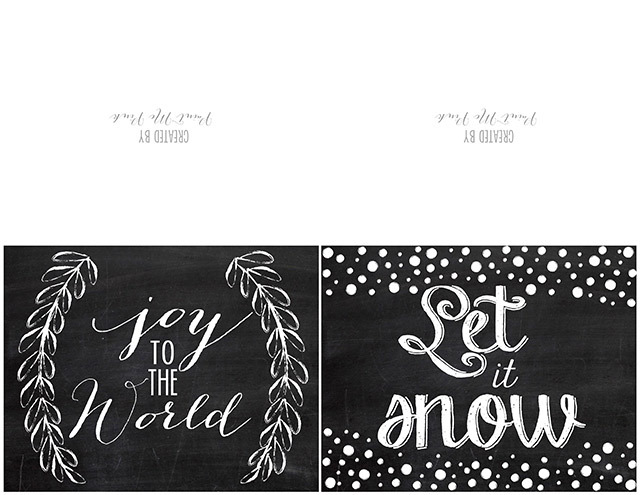 I hope you enjoy these fun christmas cards I created for you. Please remember these are free for personal use only. Don’t forget to visit all the FREE PRINTABLES! 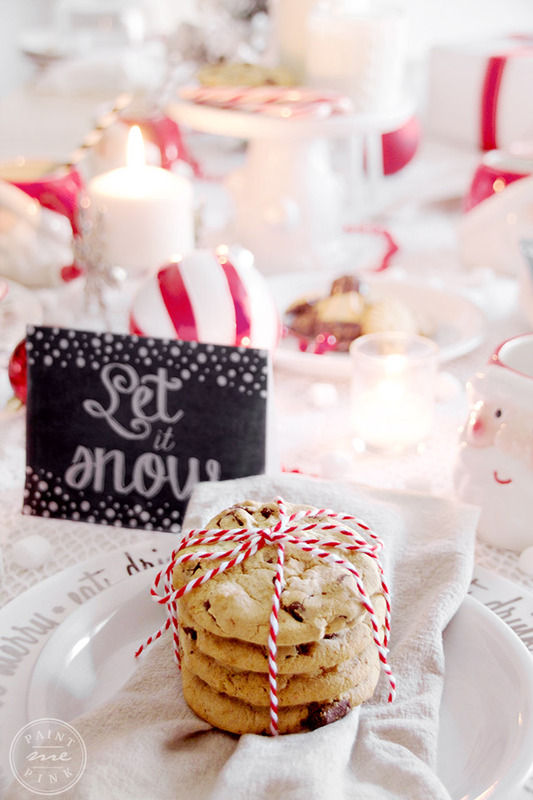 There’s so much wonderful holiday inspirations to see! Adorable Norma! I can’t wait to print these off! I love your black and white cards. 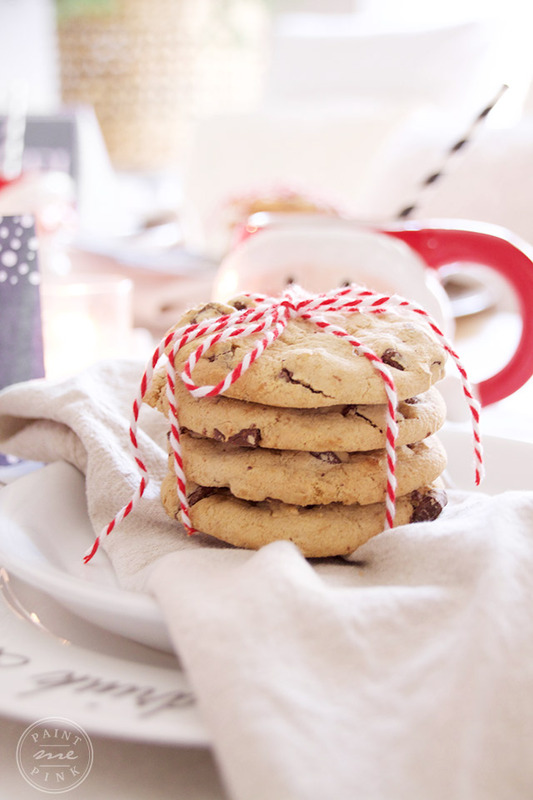 And, let me just say that I will be over soon for some of those cookies! Your tablescape is magical girlfriend! Merry Christmas.